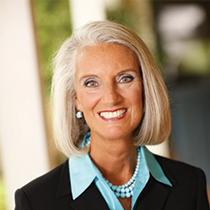 Join Anne Graham Lotz for a biblical prayer that worships God as the All-Mighty Warrior. Let a battle cry rise in your throats. Stand against the devil's schemes, and put on the full armor of God. All-Mighty Warrior, Lion of Judah, Captain of the Armies of Heaven, Director of The Day of the Lord. We have spent three days in worship of who You are. You are Elohim, the Strong One. You are El Elyon, the Most Exalted High God. You are the great, eternal, unchanging, ever relevant I AM. You are Adonai, The Boss. You are Jehovah Rohi, The Lord Our Shepherd. And You are Jehovah Elohe Abothekem, The Lord, The God of Our Fathers. Day and night, forever and ever, eternity will not be long enough to worship You. We love You and we adore You. We swear our allegiance to You and You alone. In back of our visible, flesh and blood foe is the real enemy. Satan. The devil. The dragon. That old Serpent who has led the whole world astray for millennia. And at his side are all of the fallen angels--his demons, spiritual forces of evil, principalities and powers. Since “our struggle is not with flesh and blood, but against the rulers, against the authorities, against the powers of this dark world and against the spiritual forces of evil in the heavenly realms,” the battle will not be won by our might or by our power, but by Your Spirit who lives within us. We are asking You to saturate us in Your Spirit. In Yourself--Your holiness, purity, righteousness, justice, power, mercy, grace, truth, and love. We pray this in the name of the Rider on the white horse, whose name is Faithful and True, who one day will return, followed by the armies of Heaven. We pray this in the name of the One who judges with justice and makes war, with eyes of blazing fire. We pray this in the name of the Victorious Warrior who one day will vanquish Satan, and remove all sin, evil, wickedness, rebellion, hatred, injustice, and lies from this planet. We pray in the name of JESUS. Grant us victory this day… in His name and for His glory.